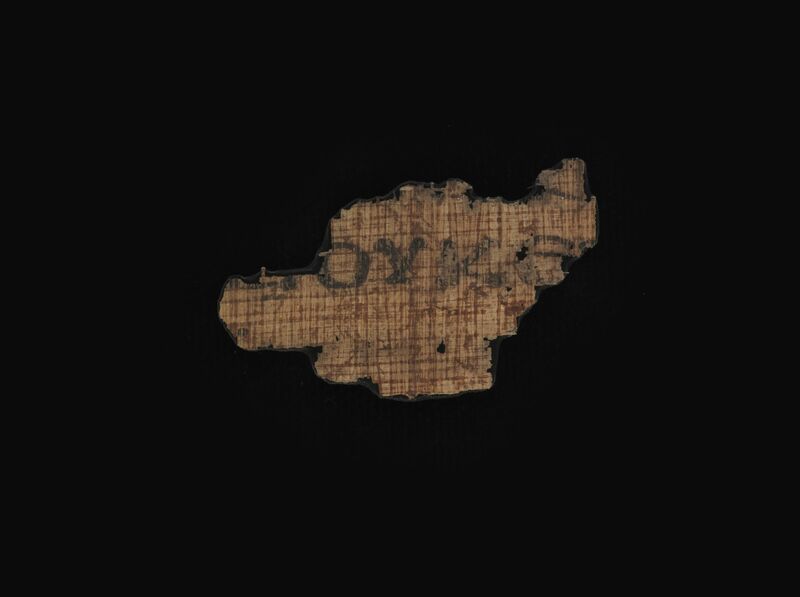 Fragment of a leaf from a papyrus codex containing Gospel According to Matthew 25:43 and 26:2-3 in Greek. 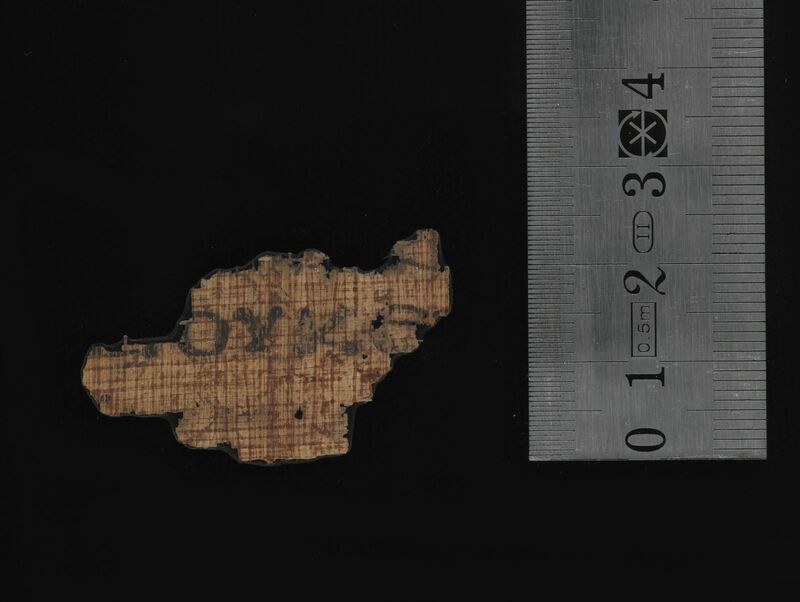 Description: One small fragment of a leaf of a papyrus codex containing parts of the Gospel according to Matthew 25:43 (written against the fibers) and 26:2-3 (written along the fibers). P.Bodmer 50 was first described by Kasser in his edition of P.Bodmer 17, the papyrus codex of Acts and the Catholic epistles assigned by Kasser to the 6th or 7th century. Kasser reported finding P.Bodmer 50 “stuck in the decay adhering to page 78” of P.Bodmer 17. The published edition of the papyrus seems to contain errors and should be treated with due caution. CopistesThe fragment is copied in a developed form of the Alexandrian majuscule. The copyist is possibly the same as that of P.Bodmer 17. Dimensions: The fragment is 3.7 cm wide and 2.1 cm high. Paratextual features: The small fragment appears to show evidence of spacing at the ends of sense lines. 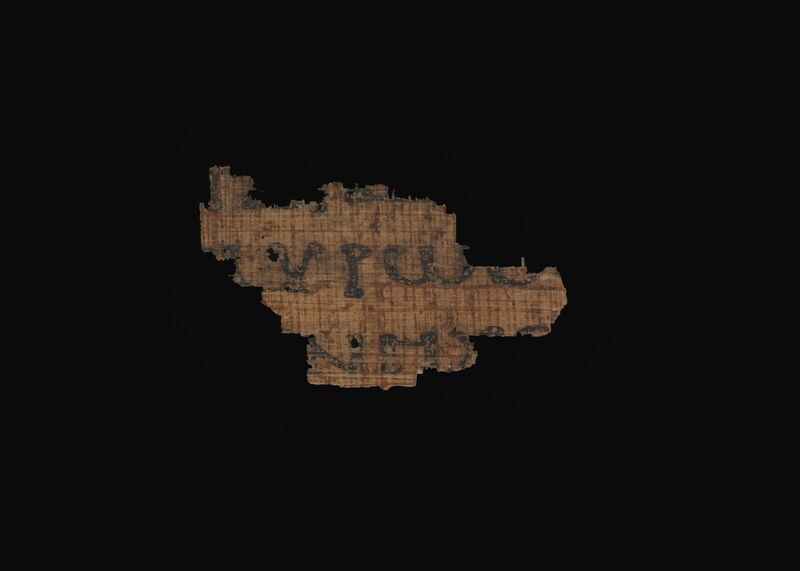 RésuméFragment of a leaf from a papyrus codex containing Gospel According to Matthew 25:43 and 26:2-3 in Greek. Thiede, Carsten Peter. 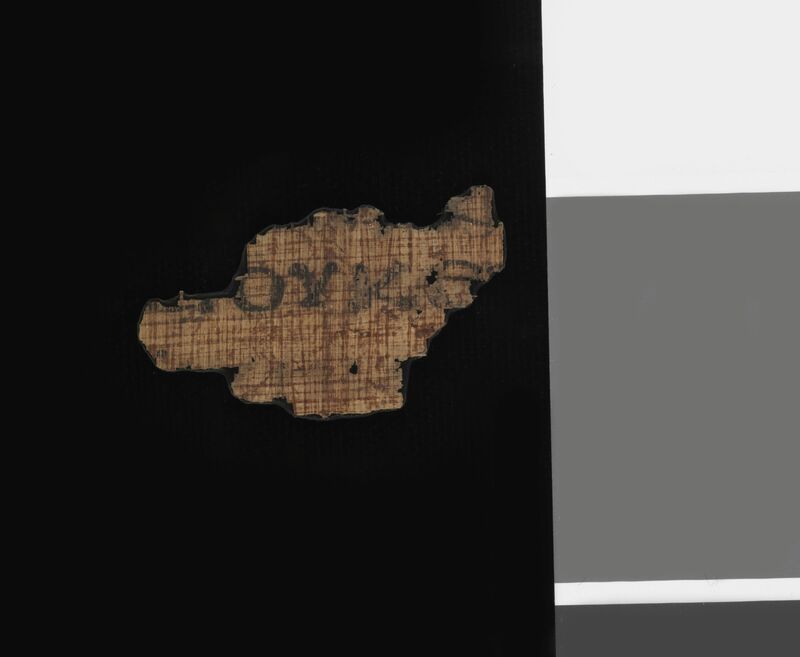 “Papyrus Bodmer L: Das neutestamentliche Papyrusfragment P73 = Mt 25,43 / 26, 2-3.” Museum Helveticum 47 (1990): 35-40 and Tafel 3. Kasser, Rodolphe. Papyrus Bodmer XVII: Papyrus Bodmer XVII: Actes des Apôtres: Epîtres de Jacques, Pierre, Jean et Jude. Cologny-Geneva: Bibliotheca Bodmeriana, 1961, 9-10.